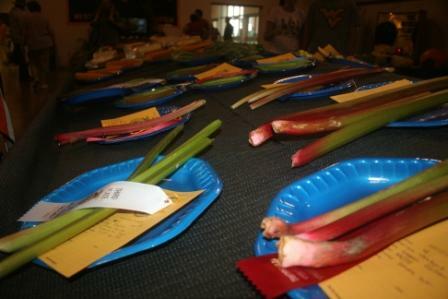 My favorite parts of the fair were the agricultural displays. 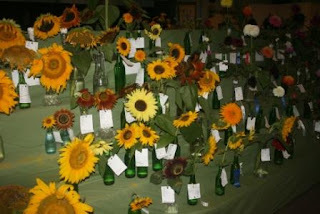 The strange vegetables, the oversized cabbage, the bottles of flowers and jars of honey. 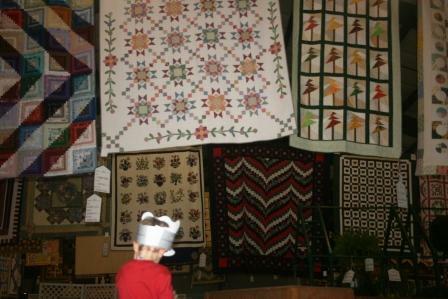 Gorgeous quilts hanging from the ceiling. That's Pierce, wearing a paper conductor hat, up on his father's shoulders underneath all the quilts. 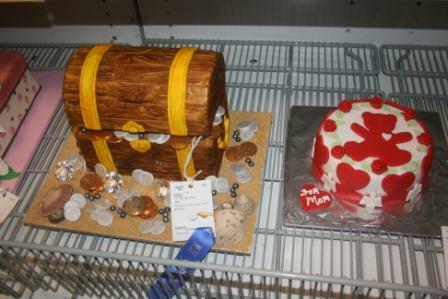 Check out the amazing cakes! Seriously way to beautiful to eat. I also loved going through all the animal barns. 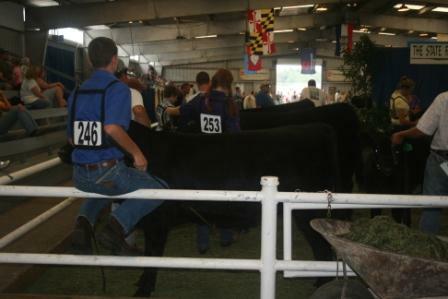 Here, some 4-H teens were showing their cattle. They had such pride over their animals. We watched them in the back grooming, fixing every stray hair and shining up coats. And they should be proud. 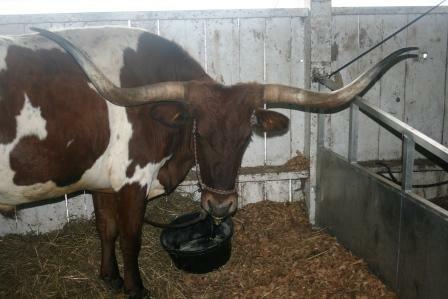 These were the most gentle, well-mannered cattle I have ever laid eyes on. This goat on the other hand? He's a sly one. Reaching through the bars to steal someone's Mountain Dew. He had us laughing. Okay, so maybe it was worth the drive. Even though we were stuck in traffic for an hour, during which Cort had 11 meltdowns. Apparently, he isn't a big fan of day trips. Iowa State Fair is going on right now and it has cooled down in Iowa.. It's 71degrees right now and no humidity.. I have never been to the state fair just to the local ones.. 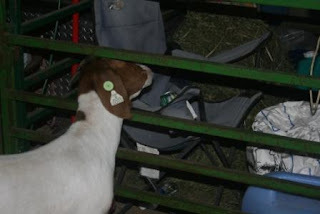 I enjoy going to this fair and looking at all the 4-H booths .. and watching the kids with the animals they have brought to have judged.. I don't go the last day when the animals are auctioned off.. It's way to sad for me to see the kids crying.. Their beloved cows, pigs ect. are going to be gone...to highest bidder. Glad you take your kids to the fair,hopefully it instills in them to want to do this when they get older.. Your a good mom ~! 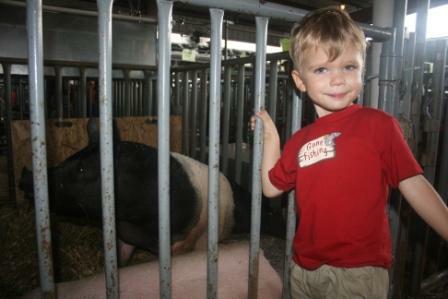 Looks like a great time at the WV State Fair! 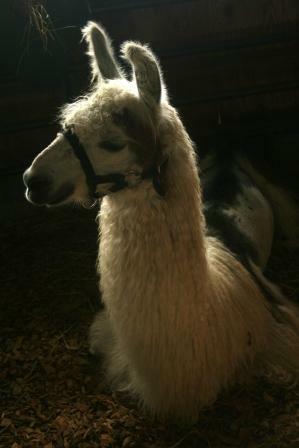 There's always something fun, interesting, or unusual to see at a State Fair. That used to be one of my favorite things too! Our little bitty town used have fairs like that. I miss that! Glad I'm NOT babysitting Cort!